This what I call a nutritive-app. It provides fast food restaurant’s menus with their nutritional information including calories, carbs, fat, protein, cholesterol, sodium and fibers. 1) Menus from over 103 famous restaurants. 3) Ability to select meal sizes. 4) Food logs up to a year. 5) Search through restaurant menus. 6) Nice interface & easy to use. 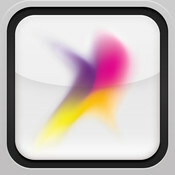 It is a-must-have app because it’s simply let you enjoy eating delicious food but in a much healthier way. 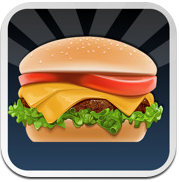 Fast Food Calories is a free app. Iâ€™m Jessica from YieldAds whose forte is on online advertising. Currently our online advertising networks serve over 2.1 Billion impressions with over 2,000 advertisers spanning 93 countries every month and the numbers are growing rapidly over time. We provide a performance driven advertising platform for advertisers and publishers to help maximize their return on investment. We are committed to the growth and success of our clients through online advertising to deploy effective online marketing campaigns in Asia and all across the globe. Moreover, we are also interested to explore business opportunities with you in advertising on your websites and hope to have ongoing campaigns running on your portal whenever possible. Do let me know if you have any queries and Iâ€™m more than willing to assist hopefully we could venture into a business deal. Feel free to add me on either Skype: â€œjessicaleecheeâ€ or email me at â€œjessica.toh@yieldads.comâ€. Hope to hear from you soonest possible. And for your info, we normally work on a revenue share basis of 60/40.You will be entitled to transact payment via PayPal or wire transfer within 30days. Looking forward to work with you.